God wants relationship with us, and prayer is simply talking with God and/or the Lord Jesus Christ. Reading the book of Psalms will show you that prayer can take many forms, including complaining and giving thanks. It can be asking for something for yourself (nothing is too big for God to do or too small for Him to care about) or petitioning God for something for someone else. The latter is known as intercessory prayer, and is a self-sacrificial labor of love. Prayer is not forcing God’s reluctance, but rather taking hold of God’s willingness. We know God’s will from His Word, and we are to pray accordingly (1 John 5:14 and 15). Prayer orients us to God and Christ as the source of all good things. When we pray, we acknowledge our total dependence upon them. Luke 18:1ff shows us that we are to continue to come boldly into God’s presence and ask for what we need until we get it. Jesus said that when we pray, we are to pray with faith, that is, expecting God to answer us affirmatively (Mark 11:24). Faith means trust, and we do not trust anyone we do not know. The more you know God and Christ, the more you love them and trust them to keep their promises to you. Effectual prayer is rooted in intimacy with our Father and our Lord. What Jesus said in Mark 11:25 shows us that intimacy with God is impossible if our attitude toward people is not godly. First of all, we know from His Word that God IS love, light, etc., and thus we know that His will is always good for people. We know that Jesus instructed his followers to pray about everything. We know that, by His very nature, God desires to answer our prayers and give us all good things. We also know that we live in a fallen world where the Devil is exerting the dominating influence (Luke 4:6; 1 John 5:19) and terrible things happen to people, even those who follow Christ. We know that because of Lucifer’s rebellion against God and Adam’s ensuing disobedience, we are caught in a cosmic crossfire, and we are targets of Satan’s evil and of God’s goodness. The Devil does all he can to hurt us; God does all He can to help us. We also know that Jesus Christ came to destroy the works of the Devil (1 John 3:8). When he comes again, he will do that in toto, but in the meantime, he needs our cooperation to destroy at least some of Satan’s work on earth today. Daniel 10:1–13 is a most revealing record in regard to the battle raging around us in the spiritual realm beyond our five senses. A big time angel of God told Daniel that it took him three weeks to get to him in answer to his prayer because he had to fight his way through a bunch of major demons en route. What that shows us is that there are unseen factors in play and that it may take a while for God to be able to answer a prayer. What we know from God’s Word is that when He can answer our prayers, He does, and when He can’t, He weeps with us and longs for the same Hope we do: everlasting life in Paradise (Rom. 8:19–23). Our book, “Don’t Blame God,” elaborates on these critical issues as it addresses the Number One question of the human heart: IS GOD GOOD? Also, here is the link to a few audio teachings titled: “God’s Foreknowledge;” “Let Us Pray: To Whom? What? Why? When? Where? How? 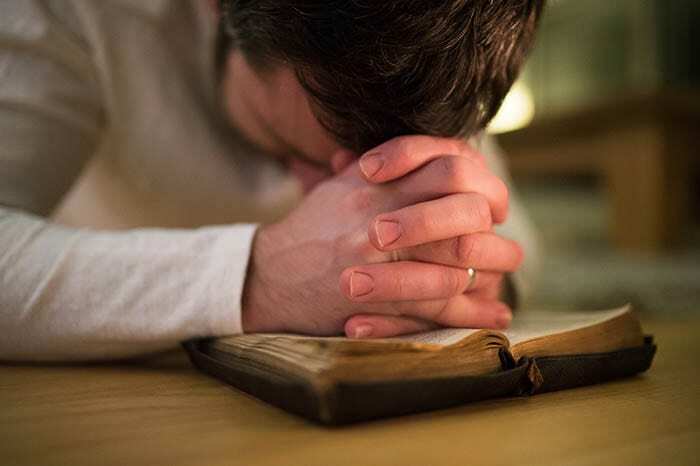 ;” “You Are The Only You God Has;” and “Let Us Pray;” a couple articles: “You Are The Only You God Has;” “Tune in to God’s Channel;” and “Can We ‘Pray’ to Jesus Christ? ;” and a couple video teachings: “Why Pray?,” and “God’s Foreknowledge and Man’s Free Will.” See our class: “One Day With The Creator,” Segment 22.